John Dwyer (of Coachwhips, Pink & Brown, OCS, Landed, Yikes, Burmese, The Hospitals, Sword & Sandals, Superpit, The Drums, The Trawgs, Zeigenbock Kopf and Dig That Body Up It's Alive!) is in Thee Oh Sees and he seems to be making this band the most serious project. He's done everything from noise to death metal to punk and now Thee Oh Sees. Thee Oh Sees are no doubt the lightest of his excursions, but in contrast to the rest of his resume one could surmise that there are significant reasons for the change. Thee Oh Sees are no doubt the lightest of his excursions, but in contrast to the rest of his resume one could surmise that there are significant reasons for the change. 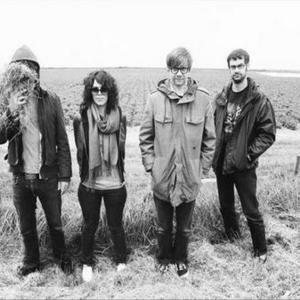 Thee Oh Sees have a lo-fi electric-acoustic sound that's usually soaked in reverb, making it as if you can hear and see the exact room they recorded in. It creates a very distinct mood that seems to fit their style, lyrics, and melodies. What most people focus on is that Mr. Dwyer is in the band. While it's certainly a notable quality, the recent band members bring so much more to the table. The earliest recordings are Dwyer's solo recordings, mostly single instrument/vocal ditties that you can hear him working out. They're an intimate portrait of John, but without the recent material, the portrait would simply be incomplete. Thee Oh Sees don't subscribe to any one style. With the addition of Brigid Dawson, Petey Dammit, and a rotating cast of drummers, the sound has grown into the landscape that one man couldn't create alone. Brigid's soprano voice brings an almost hauntingly sensitive aspect to the lyrics and melodies, while Petey and Mike's pounding and insistent backline (and additional drums from Lars Finberg of The Intelligence on recent recordings) complete the frame in its entirety. Their energetic, sweat-laden shows coupled with their prolific recording schedule has garnered them a growing, dedicated fan base. The catalog that this band has put together is growing and growing, albeit under several different monikers, and several different labels.